If there’s one thing the 1980s had that seems to have been lost in more recent times its the really cheesey song, and they don’t come much cheesier than Save Your Love, the 1982 Christmas UK number one hit from classy duo Renee and Renato. Â I’m not sure whether to be thankful or not that songs of this calibre no longer seem to be released. As mentioned Save Your Love hit the top of the charts at Christmas, but it was actually released back in October of 1982 entering the charts at a less than auspicious 54 in the charts. Â Somehow the song got discovered however and it rose up the charts both in the UK and The Netherlands and Norway, staying at the top of the British charts for no less than four weeks. 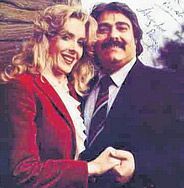 RenÃ©e (real name Hilary Lester) and Renato (full name Renato Pagliari) did release two other songs, Just One More Kiss and Jesus Loves Us All, but neither repeated their initial success and so RenÃ©e (sorry, Hilary) went back to her private life whilst Renato still sings aboard cruise ships and at his brothers Italian restaurant in Tamworth, Staffordshire, apparently. The Eagle was a comic that originally appeared in the UK in 1950. Â Surprisingly, it was the brainchild of a vicar, one Reverend Marcus Morris, who disliked the American style of comic books and wanted to produce something a little more discerning for British boys to read. Â The comic spawned much loved character Dan Dare, chief pilot of the Interplanet Space Fleet, and his arch-enemy the green skinned alien known as The Mekon. 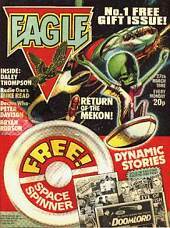 After several mergers with other comics The Eagle finally disappeared from newsagents shelves in 1969, but it was brought back for a new generation in 1982 in a revamped form. Â It still had its sights set firmly on the quality end of the comic market, and of course brought back its legendary hero Dan Dare. Â As the image shows, the first issue also had a free gift to tempt young boys who had never heard of the comic before into sampling it over their usual weekly read. The new comic was a mixture of comic strip stories and features about sportsmen, TV shows and the like, basically anything that an early teens boy would likely enjoy reading about. Â The comic strips were presented in a mixture of styles, with some being hand drawn and others being photostrip stories. What was your favourite original flavour of Monster Munch? 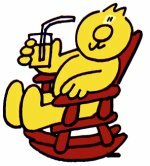 Henry’s Cat was a slightly overweight looking, bright yellow animated feline who, like many cats, was a bit on the lazy side most of the time. Â His favourite hobbies were eating Jelly Baby sandwiches and day dreaming (often about eating Jelly Baby sandwiches). His best friend was Chris Rabbit, a rather hyperactive blue bunny who had obviously had one too many glasses of orange squash. Â Chris Rabbit would bound furiously around the screen filling Henry’s Cat’s head with barmy notions about doing strange activities, which the hapless cat usually ended up carrying out. Whilst he had a great many other friends including Douglas Dog and Sammy Snail, he also had a number of enemies, foremost of which was the villainous Rum Baa Baa, who was unsurprisingly given the name a sheep. Â Quite why Rum Baa Baa was so against our feline friend I really don’t know, but he was always hatching schemes to get the better of the yellow puss. Â There was also the permanently bright pink faced Farmer Giles who had it in for Henry’s Cat, usually urging law keeper Constable Bulldog to arrest him. Slinkies are wonderful things, aren’t they? Â It’s amazing how such a simple thing as a length of bent metal can be fiddled and played with in so many ways. Â Of course, the Slinky is by no means a product of the 1980’s, but I certainly remember playing with one that I inherited from my cousin when I was a child – that is until it got a kink in it and no longer worked properly. The Slinky was invented in 1943 by Richard James in Philadelphia. He was a US Naval engineer, and he got the idea for the toy when he saw a spring fall off a desk and bounce around on the floor. Â He came up with a method for coiling strips of metal and made his first batch of 400 Slinkies which he took to a department store called Gimbels to sell. Â Using nothing more than an inclined plane that first batch of Slinkies promptly sold out in just 90 minutes! Â Since then millions of the toy have sold world wide. 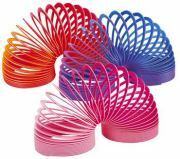 These days to get round the problem of the metal being too easily bent Slinkies are manufactured out of plastic. Â Having played with both at one time or another I believe the metal Slinky is still superior, as the plastic versions don’t seem to be quite so flexible and so come to a stop quicker. For many people Space Invaders would have been their first real encounter with an arcade videogame. Â Games such as Pong and Space War may predate Space Invaders but its the alien shooting game that arguably got the popularity of videogames kick started when it first appeared in 1978. 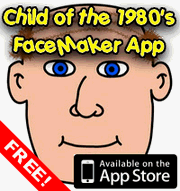 Â It was created by Tomohiro Nishikado and produced by arcade game manufacturer Taito. The premise of the game is pretty simple – destroy all the Space Invaders! Â You control a lone tank at the bottom of the screen that can move left and right and fire shots vertically upwards. Â At the top of the screen are five rows of alien invaders who march from side to side across the screen, moving down a little every time they reach the screen edge. Â The aliens fire every so often at you, so you must dodge their attacks. Â To aid you in this there are four barriers to block their bombs, but every time they take a hit a little bit of the barrier gets destroyed, so they don’t hold out forever. If you managed to wipe out all the aliens before they reached the bottom of the screen then you would be presented with a new wave of them, moving slightly faster than before. Â You could also get bonus points for shooting the alien mothership that moved horizontally across the top of the screen every so often. Â The motherships arrival was accompanied by a freaky woo-woo-woo sound, designed to put you off just as you were trying to dodge an alien attack. Following on from yesterdays post about Tooty Frooties, another favourite snack from the 1980’s which is still around today albeit in altered form is Monster Munch (though read on to find out about the planned re-release of the snack in its original form). Â Personally I wasn’t that big a fan of them (I know, that’s tantamount to heresy to some people) but I did hold the sheer size of the things in awe and I loved the television adverts for them featuring the large muppet style monsters. Monster Munch were first launched in 1977 by Smith’s crisps, and were instantly popular with kids because they were inexpensive yet you got a lot of snack for your money. Â They were made from puffed corn, with each crisp being too large to fit in most kids mouths in a single bite. The original line up of flavours was Pickled Onion, Roast Beef and “Saucy”, which was quite a strange set of varieties at the time, when Ready Salted, Cheese and Onion and Salt and Vinegar ruled the roost. Â Each flavour of crisp was represented by a different monster on the packet, my favourite being the long necked pink monster with the massive tongue that reached into the packet to withdraw a crisp.Â Â The shape was often referred to as being that of a monsters foot, but there were in fact two shapes, both representations of two of the monster clan – the pink monster with his long tongue, and the one eyed monster. I had another of my lucky finds again when doing the grocery shopping the other day (or so I thought) when I spied a packet of Tooty Frooties on the shop shelf. Â I remember really enjoying these as a child so a packet was swiftly swept into the trolley and my mouth began to water with the thought of tasting those fruit flavoured square chewy sweets with the crispy outer coating again. Â Yum! I ripped a packet open and out tumbled something resembling the familiar square shaped chewy sweets I loved as a kid. Â The sweets too had mysteriously shrunk in size to be around half what I remember them being. Â I took another look at the packet at this point to check I hadn’t missed any words like “mini” or “micro” that might explain this size discrepancy, but found nothing except the word “NEW” printed on the corner of the packet.